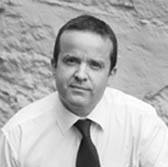 Emmet Barrett has worked in corporate communications consultancy since 1999. Building corporate profile for clients and issues management have been the mainstay of Emmet’s PR career and one which he has applied to a variety of clients over the years including Dairygold, Matheson, Northern Rock and the Irish League of Credit Unions. Providing communications support for infrastructure and industrial development, especially those involved in community consultation is another area where Emmet has broad ranging experience.